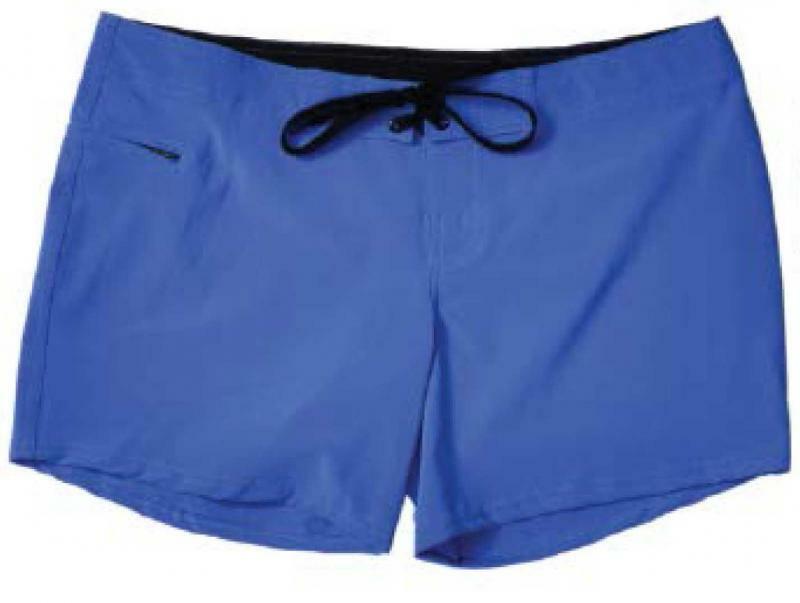 Solid super 4 way stretch Polyester/Lycra boardshort with inner contrast color waistband, side pocket with zipper closure, triple needle stitching and a 5" inseam. 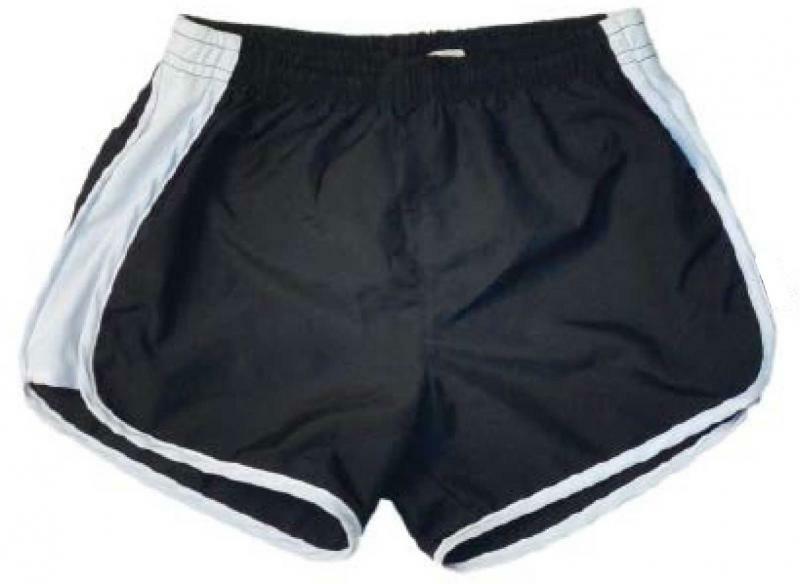 100% Polyester running short with elastic waistband, built in mesh brief liner for ventilation and inside key pouch and a 3" inseam. 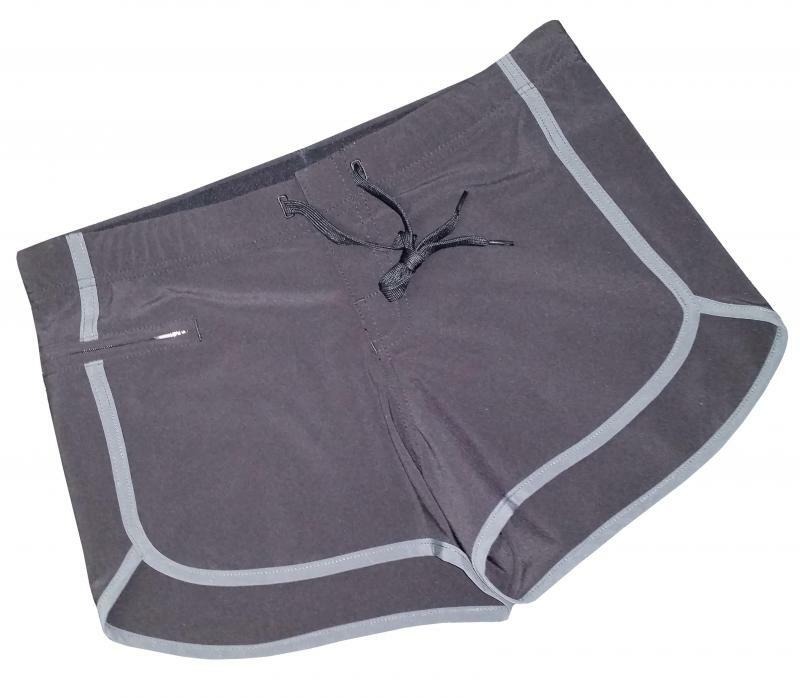 Solid 4 Way Stretch Polyester/Lycra fabric with a neoprene elastic waistband for a super comfortable fit that will be one of your favorite boardshorts. Tie cord front with side zippered pocket, triple needle stitching and a 5" inseam. 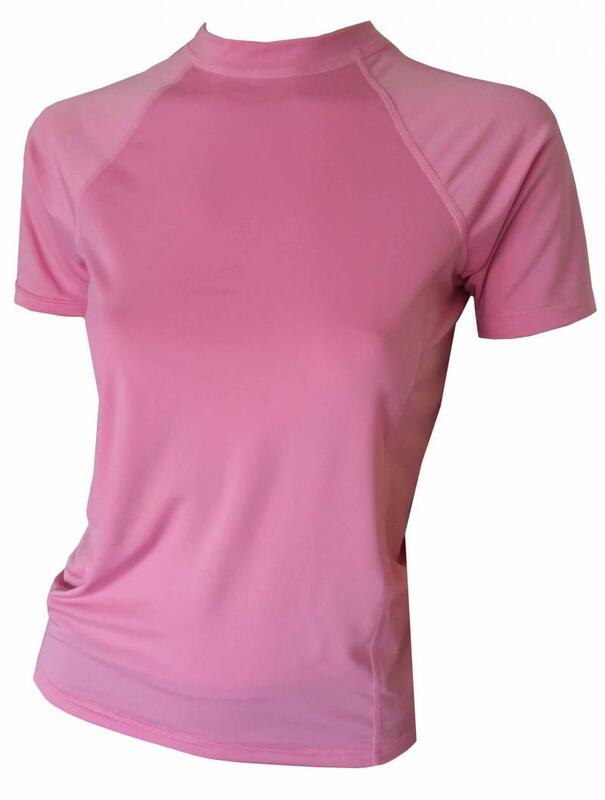 Ladies short sleeve rash guard in Poly/Spandex fabric that is Quick Dry and has UV protection.